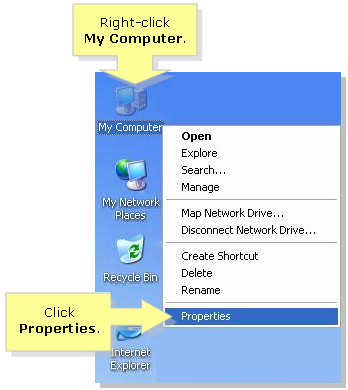 NOTE: If your computer is running on Windows Vista® or Windows® 7, click here for instructions. For Windows® 8 and 8.1 or higher operating system users, click here. The adapter will only work if it is detected by the computer as one (1) of its peripheral devices. One of the physical indications that the adapter is recognized by the computer is by checking the LED. If the LED does not light up or indicate activity, it could mean that the adapter is not recognized by the computer. 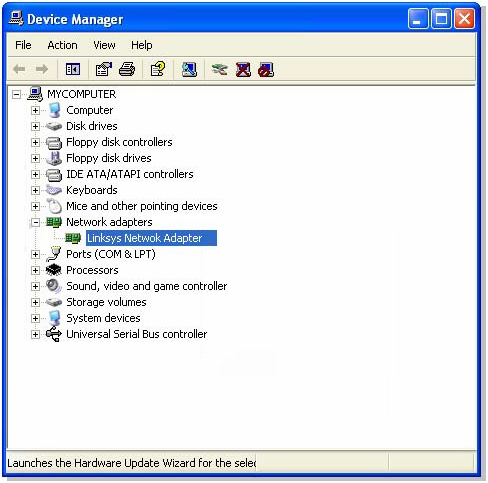 Another way to check the adapter on your computer is by checking your Device Manager. Right-click My Computer and select Properties. 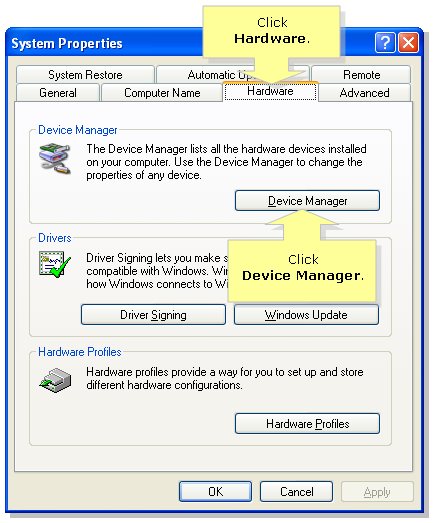 Click the Hardware tab then Device Manager. Click the + sign beside Network adapters to expand. IMPORTANT: You should be able to see your adapter in the Network adapters section. Otherwise, your adapter might not be inserted to the PCI slot/USB port or the adapter might not be installed properly. To know how to reinstall your adapter's driver, click here. Click Start. 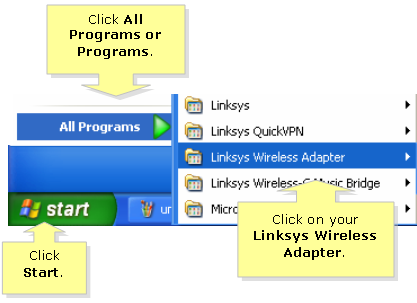 Select All Programs or Programs > Linksys Wireless Adapter. NOTE: Wait for the Install Shield Wizard to complete before re-installing the drivers. To reinstall your wireless network adapter, use the driver downloaded from the Linksys Support Site. For detailed instructions in reinstalling your adapter’s driver, click here. IMPORTANT: After reinstalling the driver, restart your computer and check the Device Manager if the driver is properly installed.